I have learned that self-esteem can have several different meanings depending on who you converse with. 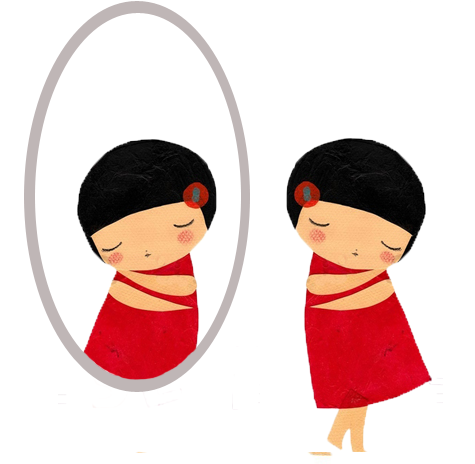 When it comes to your self-esteem, only one opinion truly matters: your own. As educators, it is critical to understand the difference between self-esteem and self-awareness; they share many of the same elements. However, there are significant differences between the two. Self-awareness is the ability to make accurate statements about one’s skills, feelings, and events in one’s life. Alternatively, self-esteem refers to the child’s ability to see themselves as worthy, valuable, and composed. When fostering the development of these two concepts in our students, it’s essential for educators to be able to lead them in the right direction and be supportive of their needs. Self-esteem is inextricably tied to how positively or negatively they will be able to “see” him or herself. Self- awareness includes all the ways a child views him or herself; this also includes the ability to understand their emotions, their strengths as well as their opportunities for development. The questions and tips below will help you explore how to assist children in building and protecting their self-esteem and becoming more self-aware. 1. What kinds of decisions are challenging for me? 2. I feel motivated when? 3. When do I find it difficult to listen? 4. When do I feel joy in my life? 5. What tends to get me in trouble? How can this result in my “getting in my own way”? 6. What are some opportunities for improvement? 7. When do I feel good about myself? What are my strengths? What am I most proud of? 1. Encourage writing regularly it will help your students get comfortable with their voice. Being comfortable with who you are on the inside is just as important as being comfortable with yourself on the outside. 2. Support your students in developing useful skills that can lead to discovering talents they never knew they had. 3. Promote self-care; many studies have shown a correlation between exercise and higher self-esteem. 4. Encourage students to listen to music. When we open ourselves to music we may find a useful medium that connects to our life issues and helps us deal with our surroundings. From the beat to the words in the song, music has the ability to empower us and helps us process our emotions. 5. Helping students recognize what their strengths are in times of doubt is vital. It’s easy to put yourself down when you “mess up” or “fail,” but when given the proper tools to help pick yourself up in these times, it will boost your self -esteem. It also enables you to build a positive perspective of yourself.